Being an Initiator Fellow has provided me with countless new connections across Central Minnesota that I may not have made otherwise. These connections have have solidified the need and demand for economic development training that my business has been developing over the last year or so. Decklan Group has experienced the unique opportunity of being the business liaison with more than 40 communities across the state, bringing a total of nearly 1,000,000 square feet of development/redevelopment to fruition. These experiences have provided us with an invaluable perspective on how economic development projects are handled and, more importantly, have allowed us to identify themes in which economic development training could benefit decision-makers. With that knowledge we can aid their understanding and streamline the processes that often present challenges to business owners. Decklan Group has experienced significant interest from Central Minnesota since opening its second office in St. Cloud in late 2017. While we're generally available every Wednesday in St. Cloud, it is recommended to make an appointment prior to visiting. I have learned that the more I engage and speak with folks outside my industry, the better I become as a leader and the more my company benefits. Too often, firms stay in their comfort zones and get so caught up in the day-to-day responsibilities of running a business that they forget to simply set aside time to develop their business from the perspective of outsiders. Decklan Group offers a variety of services for businesses—services that businesses don't realize they need until it may be too late. Being a Fellow has helped me make connections with people in industries who often engage with that "perfect" Decklan Group client, and making connections and partnerships provides me with an even greater toolbox of resources to provide additional value to our clients. It has also shed light on the true importance of making time for yourself—outside of your business—and developing skills and fostering relationships that, while maybe not directly related to your business, directly relate and impact me as a person. If I'm not taking care and further developing myself, how can I expand my company to grow? We are excited to now be offering commercial and industrial real estate services, and we've seen tremendous success with utilizing a variety of workforce development and apprenticeship grants so our clients are able to provide continuing education and industry-recognized accreditation for new and existing employees. We've seen recent success with clients working to expand and build new facilities and have experienced tremendous value from opening an office in St. Cloud. I have had the pleasure of working closely with Independent School District 728 on the development of its Career and Technical Education program, and I have been able to make countless connections with our clients across the northwest Twin Cities metropolitan area. Lastly, we are excited to be in the final stages of several economic development training programs, customized for a variety of end-users. This training will be provided to a variety of groups—elected officials, public sector staff, community leaders—to learn and apply in their respective organizations. The goal is to obtain a deeper understanding of a variety of economic development initiatives and the lessons learned through with private sector and government entries. 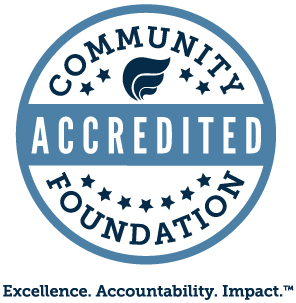 I am incredibly grateful to the Initiative Foundation and so pleased to be a part of an organization that is continuously working to better the lives of Central Minnesotans. Their proactive approach to accommodate the ever-changing needs of businesses, communities and leaders across the state will provide a positive impact for years to come. In addition to the value I've experienced as a Fellow, I've seen an even greater value in the relationships I've built with my mentor and my fellowship team. Participating in a program with checks and balances to continuously strive to better yourself and your business while working together as Fellows has provided me with a set of fantastic relationships that would not have transpired otherwise. I so appreciate the friendships I've made, and know that I will continue to learn from these people for years to come. I have also learned that economic development mean something different to every one. The practice is continuously changing, and an open mind and a "How can we make this work?" attitude generally results in a successful groundbreakings, ribbon cuttings and higher business retention rates. The private sector is constantly changing, and it's important that communities acknowledge this and take the proactive steps necessary to make the changes that work for them and encourages and welcomes business growth. Customer service is key, and communities that make it a priority while sticking to their vision are the communities that will continue to see business growth and expansion. Visit the Decklan Group for more information.